You can view the list of products added to the bundle here. 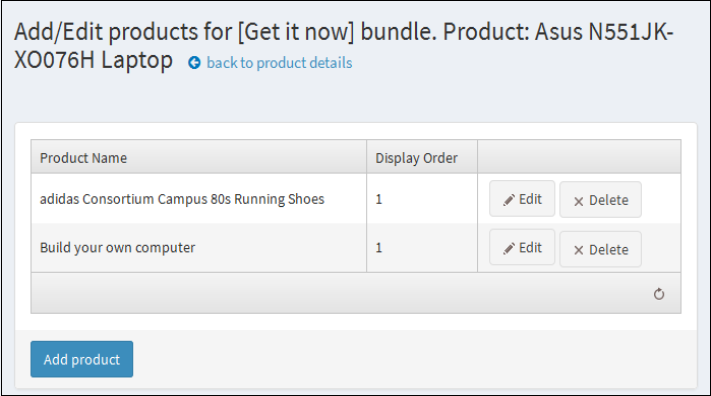 Display Order defines the sequence in which the products will be displayed inside a bundle on product details page. You can edit this field as per your choice. Base product will be displayed first and the remaining products - as per the display order. You can add multiple product to the product list by clicking on the Add product button.